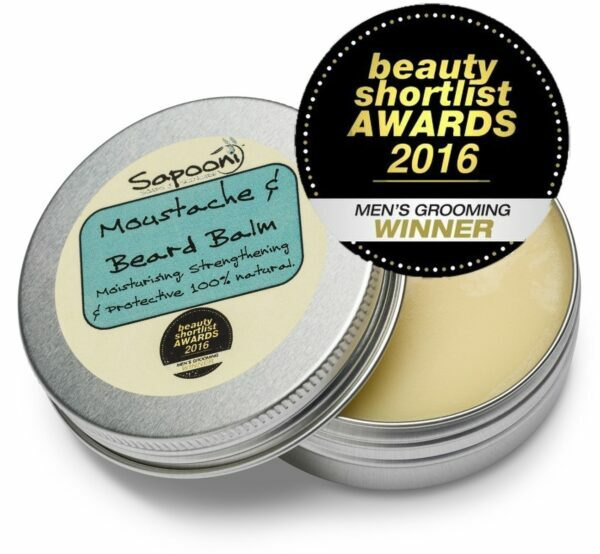 Award-Winning Moustache and Beard Balm, formulated to condition and soften facial hair, and moisturise and protect the delicate skin beneath. Our Award-Winning Moustache and Beard Balm has been formulated to be deeply conditioning for facial hair, and moisturising and protective for the delicate skin beneath. 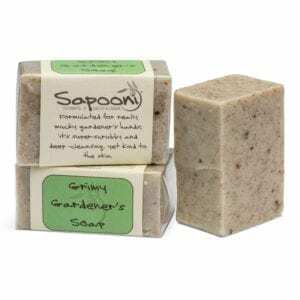 Suitable for Vegans, it’s carefully made with a selected blend of oils including Macadamia, Vitamin E, Hempseed & Mango Butter to moisturise, and we’ve incorporated natural olive wax to help seal valuable moisture into the bristles & skin. 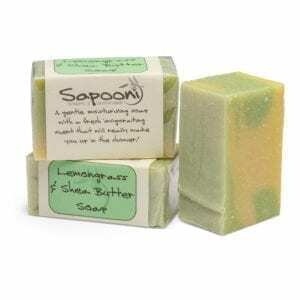 Lightly scented with Geranium and Sandalwood essential oils which add their distinctive, earthy fragrance. Made with 1005 natural ingredients. 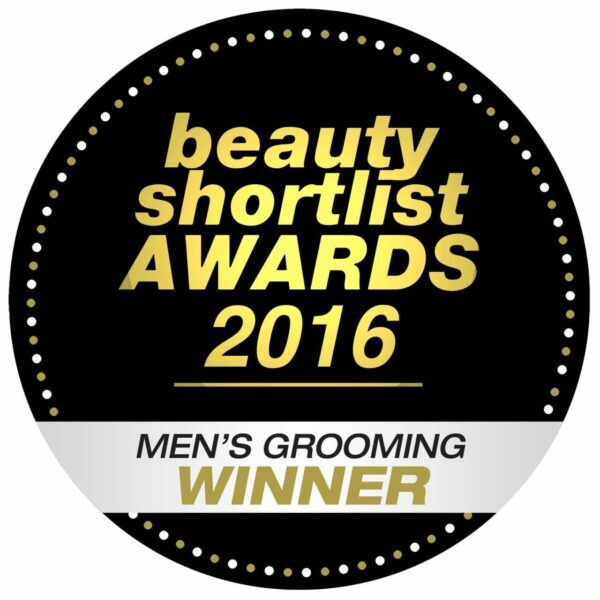 Awarded “Best Grooming Product for Men” in the Beauty Shortlist Awards 2016. 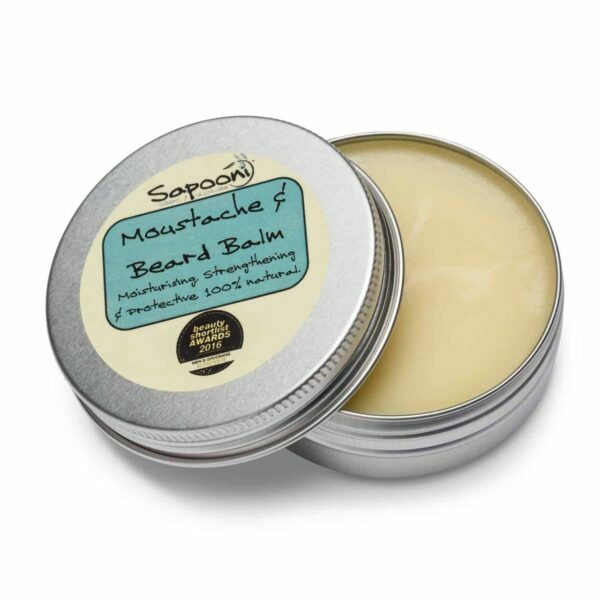 This balm is a soft solid at room temperature, so it will softly sculpt; it won’t hold a handlebar in place, but will help tame unruly Movember whiskers. Formulated for shorter, groomed beards and moustaches. Particularly beneficial to men who spend time working/ playing outdoors, as it helps protect the face against windburn and the elements. Mango Butter; Highly moisturising, this is reputed to have healing and regenerative properties. Macadamia Nut Oil; One of the best regenerative oils available, it closely resembles sebum (the oil naturally produced by the skin to help protect it). Has been used to treat minor sunburn and skin irritations. Avocado oil; This penetrates deep into the skin, and is a rich source of vitamins A and D.
Vitamin E; A powerful anti-oxidant, used widely in skincare to prevent wrinkles. Olive Wax; A Vegan substitute for beeswax, this is a fraction of olive oil which is solid at room temperature. It isn’t absorbed as readily as the oils, so allows the balm to be softly sculpted. Sandalwood essential oil; Reputed to have restorative qualities. Rosemary essential oil; Said to improve hair health and strength, and help to stimulate hair growth. 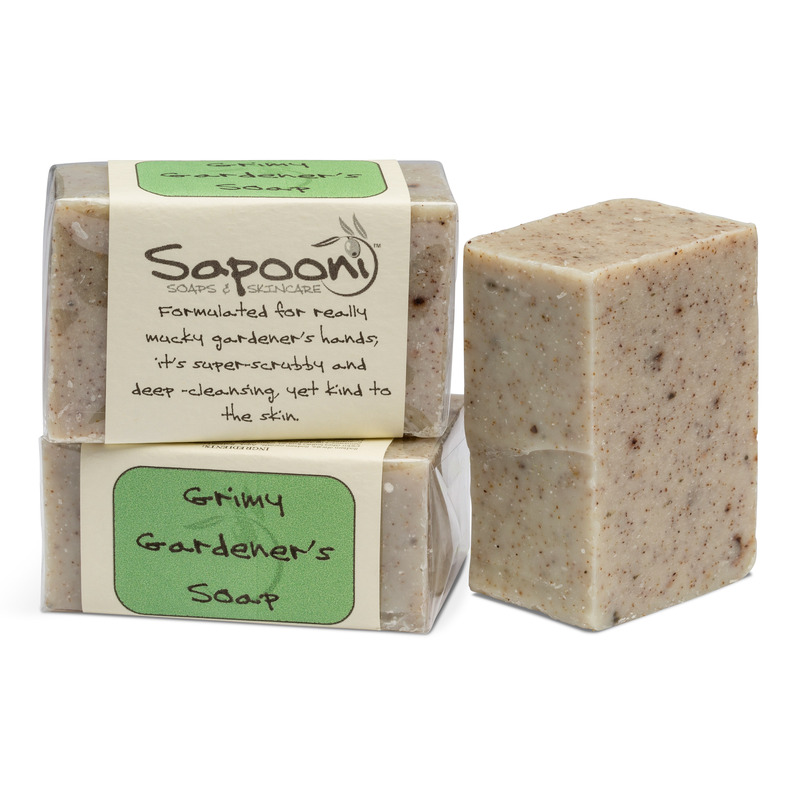 Geranium essential oil; Has been used for centuries to hydrate and relieve dry skin. Olea europaea (olive) oil, Butyrospermum parkii (shea) butter, Prunus dulcis (sweet almond) oil, Persea gratissima(avocado) oil, Mangifera indica (mango) butter, Cannabis sativa (Hemp seed) oil, Macadamia Ternifolia Seed Oil, Tocopherol (vitamin E), Pelargonium graveolens (geranium) oil, Rosmarinus officinalis (rosemary) leaf oil, Santalum album (sandalwood) oil. 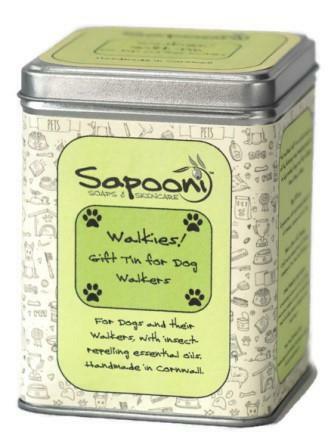 Naturally occurring in essential oils; Geranoil, Citral, Citronellol, Linalool, Limonene. 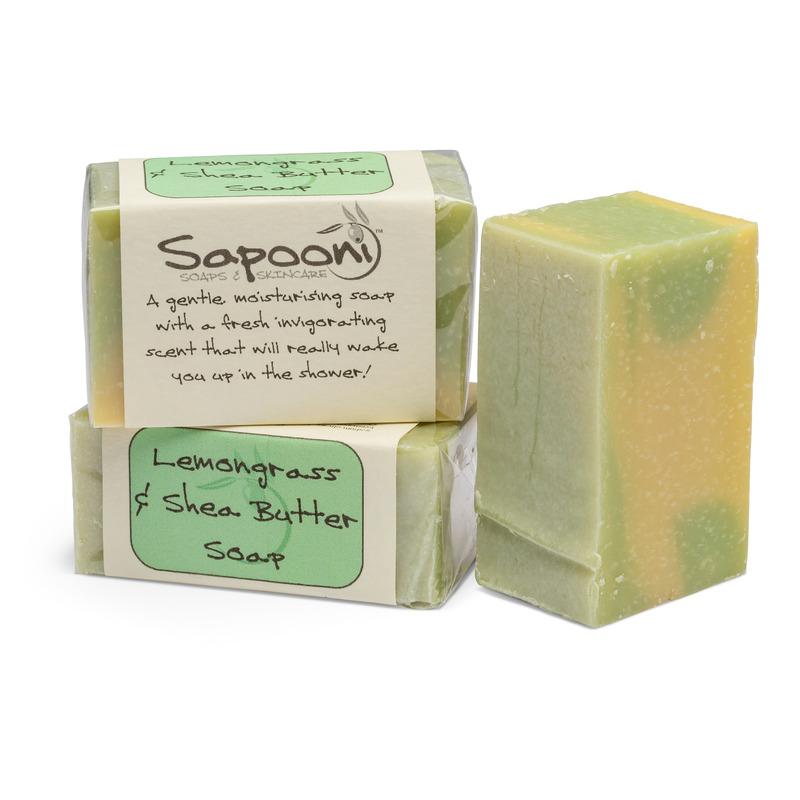 Free from mineral oils, animal fats, wheat, dairy, sesame, gluten, eggs.